The Desktop VidToMp3 alternative to Download YouTube MP3 – Portable, Easy and Skillful. VidToMp3 is many people’s choice to convert YouTube to MP3 because it’s easy to use and the conversion process is pretty fast. It is roughly estimated that VidToMp3 has more than 1 million visitors daily. So you can imagine how popular it is. 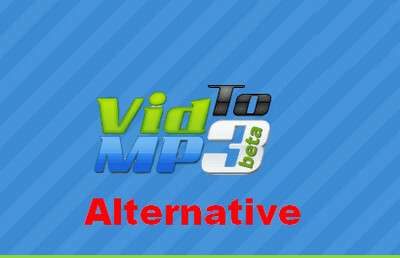 Here I’d like to show you how to download MP3 audio from YouTube with a simple and useful VidToMp3 converter. In case of need, the best VidToMp3 alternatives, which can do the same thing as VidToMp3 do and even have better performance, are also introduced in the latter part. WonderFox Free HD Video Converter Factory is the best option to convert YouTube videos, playlist to MP3, WAV, FLAC, MP4, MKV AVI and other video & audio formats. It’s completely free, lightning-fast and full-featured. Step 2. Copy and paste the YouTube URL you want to convert into the textbox next to the Go button. Step 3. Tick the Box to ensure your use of this site is in accordance with the terms of service of the VidToMp3 converter site and all applicable laws. Step 4. 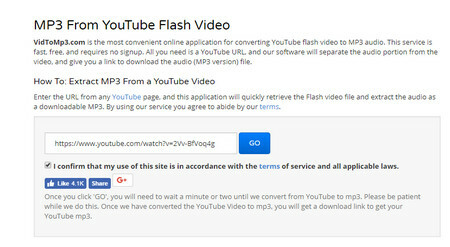 Press the Go button to convert YouTube to MP3 and you will be directed to the Process page, which would take a few minutes to convert the URL. Step 5. It would take a few minutes to process and convert the videos. Please be patient. When the conversion process finishes, click on the link to download the converted MP3 audio. It's quite simple, isn't it? However, there are some defects you need to notice. VidToMp3 can’t handle music video in many cases. During the test, I tried to convert some YouTube music video yet the “this URL is unavailable” error appeared. Besides, the conversion speed is affected by varied network connection and server. If you happen to encounter a slow network connection or unstable server, it may take forever to convert a YouTube video to MP3. To fix the “this URL is unavailable” and similar VidToMp3 not working errors as well as VidToMp3 safe issue, you can use a good alternative to the VidToMp3 converter. And here are two good options for you. The top-rated video converter & downloader enables you to download any 720P/1080P/4K/8K/VR videos from YouTube, Facebook, Dailymotion, Twitter and other 300 + sites, convert any videos to popular video and audio formats and popular devices. If you don’t want to install any plug-ins on your computer, a good web-based VidToMp3 downloader alternative called YTMP3 will be your best option. It’s reliable and easy to use. Compared with VidToMp3, it seems to be more capable of converting kinds of YouTube videos including music videos, and the process speed is in no way inferior to VidToMp3. The online converter works for computers, tablets and mobile devices. Open the site and copy & paste the desired YouTube URL into the box next to the Convert button. Choose MP3 as output format, after that, hit the Convert button to download the video using URL. Once it finishes to convert YouTube video, press the Download Button to save YouTube audio. Instead of using online VidToMp3 converter alternative, there is good desktop software you can’t miss. WonderFox Free HD Video Converter Factory is such a powerful free YouTube video converter. It can even download YouTube playlist to MP3 to save you much time. Only with simple steps, you can convert YouTube to MP3 at fast speed. Preparation: please free downloadfree download HD Video Converter Factory. Step 1. 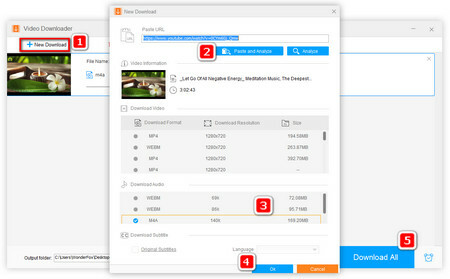 Run the VidToMp3 downloader alternative and press the Download Video button. Step 2. Copy and paste the YouTube URL into the box and press the Analyze button. Step 3. When the analysis process is complete, click on the Download button. Step 4. Press the Output Format button on the right of the main interface. The select MP3 under Audio. 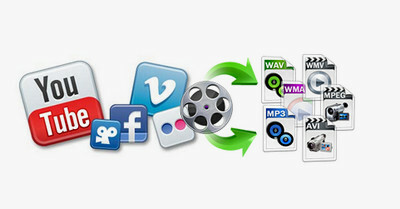 You can also convert YouTube to WAV, YouTube to FLAC, etc. Step 5. Finally, press the Run button on the lower-right corner to finish the conversion. Edit videos by cutting, cropping, merging, adding special effects as well as subtitles. Make your special Android and Apple ringtone. Modify MP3 bit rate and change video resolution.